Winemaker Jason Morin of Woodinville’s Ancestry Cellars grew up in Gig Harbor, where his forbearers were among the first of the Croatian fishing families to move to the area. His experience with winemaking started younger than most – in the third grade. As an adult, this initial exposure blossomed into a full fledged interest and passion, with Morin’s work as a pharmaceutical representative for Sanofi affording him frequent opportunities to entertain. 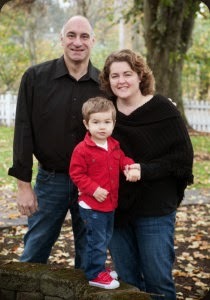 His interest took a fateful turn, however, in 2009 at the Auction of Washington Wines when Morin bumped into Chris Sparkman (Sparkman Cellars), who Morin knew from Sparkman’s Waterfront restaurant days. Morin took him up on the offer and subsequently did some volunteering at other area wineries. Inspired, he began taking classes at Seattle Community College. In 2011, he made his first commercial wines. The results are impressive – among the most exciting new wines that I’ve sampled this year. 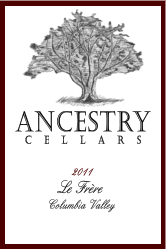 Indeed, the 2011 Ancestry Cellars red releases both have a beautiful understated elegance to them. The use of new oak is judicious, and they are wines that take a day to fully blossom but show impeccable elegance, restraint, and precision. Equally impressive – perhaps more so even - are the 2011 and 2012 Chardonnays. White wines are often where many new winemakers fall short, but Morin has excelled. The two wines are both quite stylistically distinct, reflecting the vintage from which they came with the 2011 lighter and more elegant (and with less new oak) and the 2012 richer and bolder. Both are of very high quality. “I didn’t want it to be over oaked but I don’t like stainless steel Chardonnays either, so I was looking for that balance,” Morin says. He also made a 2012 Riesling. “I made that one for my parents,” he says. “They love wines with residual sugar in them.” (NB: Look for my review of this wine in an upcoming issue of Wine Enthusiast). Morin currently self-distributes his wine and is making 800 cases annually with plans to slowly grow the winery. The winery is located in Woodinville’s Warehouse District and is open weekends 1 to 5pm. Pictures courtesy of Ancestry Cellars. (Excellent) An aromatically compelling wine with pumpkin spices, straw, candy corn, toast, and sweet spices. The palate brings an exquisite mixture of deftness, texture, and lively acidity leading to a lemony finish. An exciting first vintage of this wine. 100% Chardonnay. Arete Vineyard. 100% Chardonnay. Aged in French oak (15% new). 13.1% alcohol. (Excellent/Exceptional) A moderately aromatic wine with squash, straw, toast, and light barrel notes. The palate has sweet – almost seeming off-dry but its just richness – fruit flavors with a textured, broad feel. Quite different from the 2011 vintage – much fuller in style - but every bit as successful and, again, an exciting wine. 100% Chardonnay. Wautoma Winds Vineyard. 100% Chardonnay. Aged in French oak (55% new). 14.6% alcohol. (Excellent) The barrel notes of char, licorice, and sweet baking spices are up front – though far from over the top - followed by brooding dark fruit and herbs. The palate is on the lighter side of medium bodied demonstrating a pretty sense of texture, balance, and freshness leading to a tart finish with a light but not at all unappealing bitterness. Give one to two years or a several hour decant, ideally a full day. 65% Cabernet Sauvignon, 32% Merlot, and 3% Petit Verdot. Klipsun, Ambassador, Stillwater Creek, Copeland, and Dineen. Aged 19 months in French oak (47% new). 14.0% alcohol. (Excellent) Draws you into the glass with a complex mixture of baker’s chocolate, raspberry, mint, herbal notes, pencil shavings, and cedar. The palate doesn’t have an ounce of alcoholic fat on it; it’s all flavor. It’s all about elegant, pure, velvety fruit flavors finishing on a tart note. Give two plus years or a long decant (24 hours). 53% Merlot, 26% Cabernet Franc, 18% Cabernet Sauvignon, and 3% Petit Verdot. Stillwater Creek, Copeland, and Dineen vineyards. Aged 19 months in French oak (36% new). 13.7% alcohol. Did he say if he'll be planting some native Croatian grapes soon?